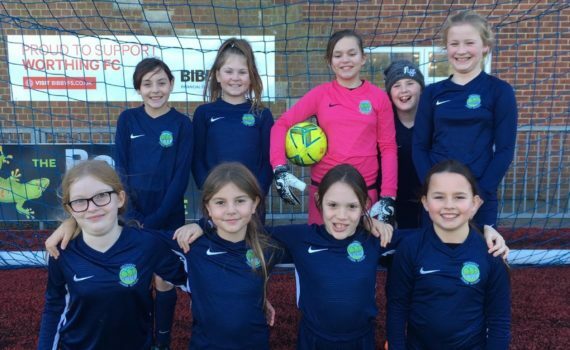 Our Year 5 and 6 girls football team finished as runners up in the Southern Area finals held at Woodside Road, home of Worthing Football Club. The team made it all the way to the final by winning 4 and drawing 1 of their 5 group games without conceding a goal!! The final against the Globe was a hard fought 0-0 draw after extra time and was decided on a penalty shoot out. Willow was awarded the player of the tournament prize for her overall performance and goal scoring abilities. This is an amazing achievement for a team who have only been playing together since September last year. Congratulations to them all.